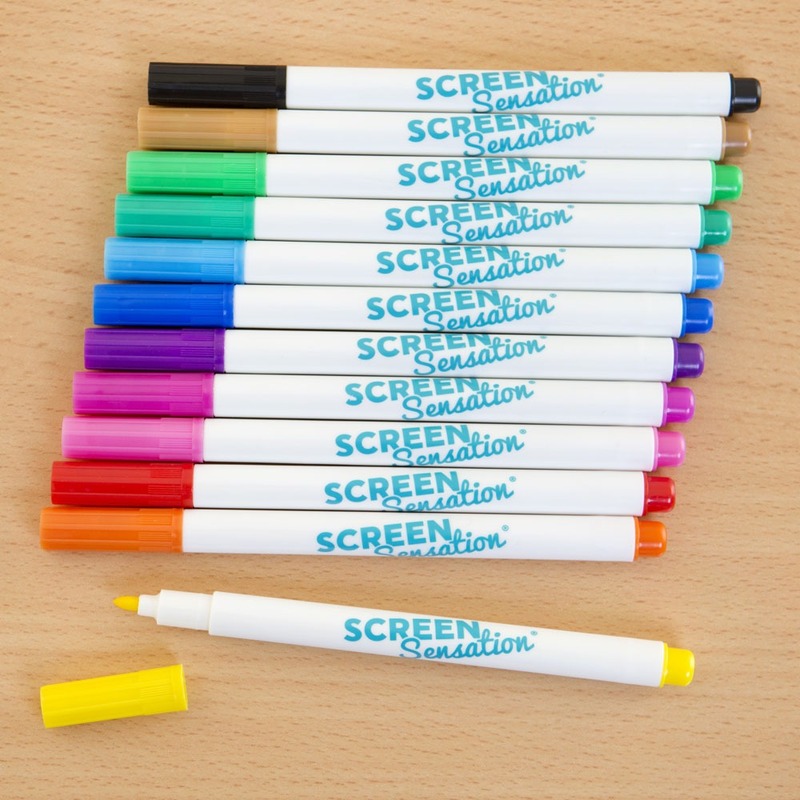 Screen Sensation Fabric Marker Pens are suitable for use on a variety of fabrics, including cotton, linen, silk, synthetic, and unstarched textiles. 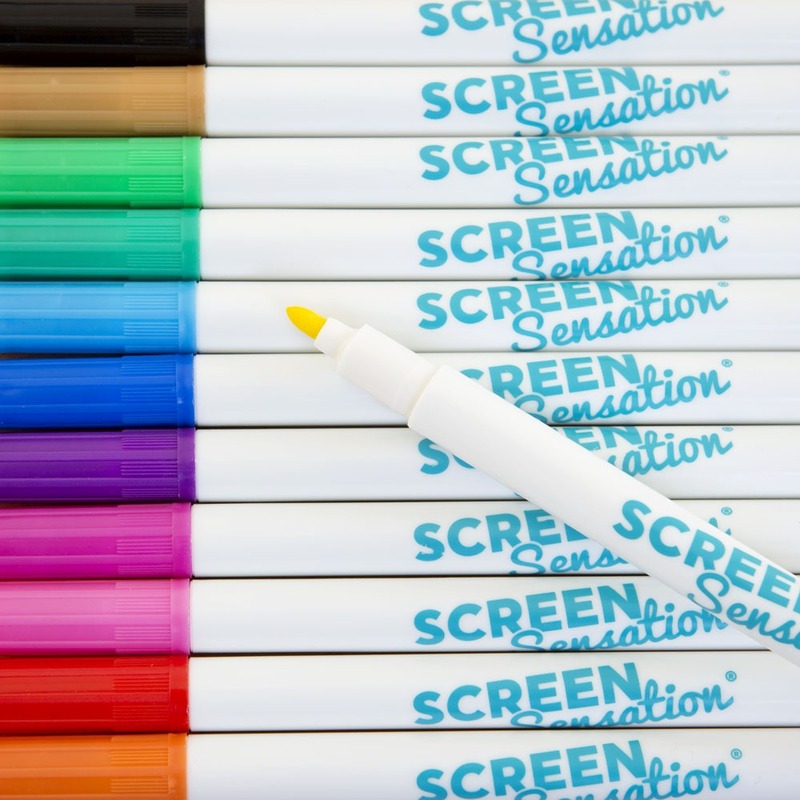 The water-based, non-toxic ink is permanent and machine washable after it has been heat set (iron on the reverse with non-steam iron). Use the 12 different coloured Fabric Pens in this set to add colour and design to t-shirts and towels to cushions and throws.